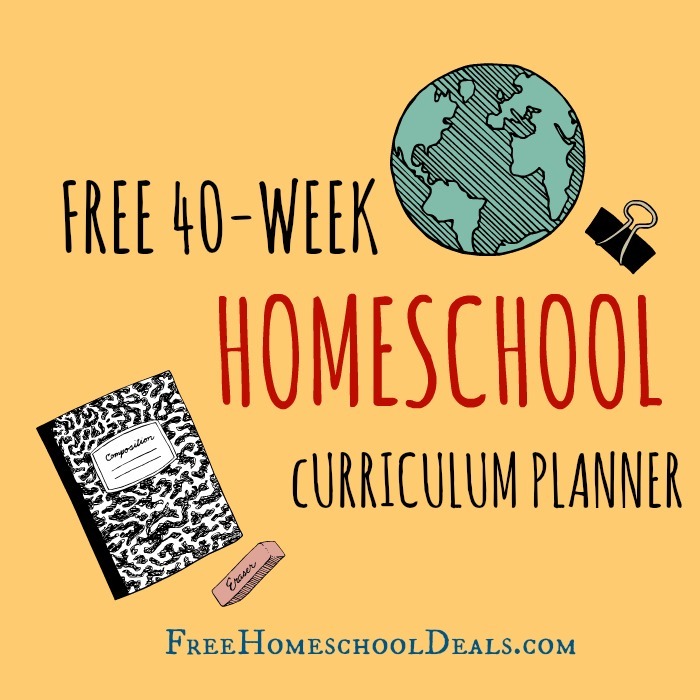 You are here: Home / Elementary / FREE 40 WEEK HOMESCHOOL CURRICULUM PLANNER – instant download! This is a post by Free Homeschool Deals friend and sponsor Little Learning Lovies! My friend Sandra of Little Learning Lovies has created a free 40-week homeschool curriculum planner for FHD readers! You can use this free homeschool curriculum planner to develop specific lesson plans for special studies in your homeschool. Be sure to LIKE Little Learning Lovies on Facebook too. She’s a homeschooling mom who makes wonderful creations! I’m getting a 404 error when I click on the link. Thanks for letting me know, Sarah. I just updated the link. I hope it’s useful for your homeschool!